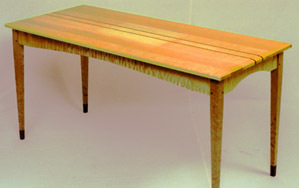 Custom woods and design always available, please call or e-mail to discuss your ideas. 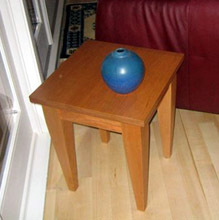 Price does not include shipping and tax. 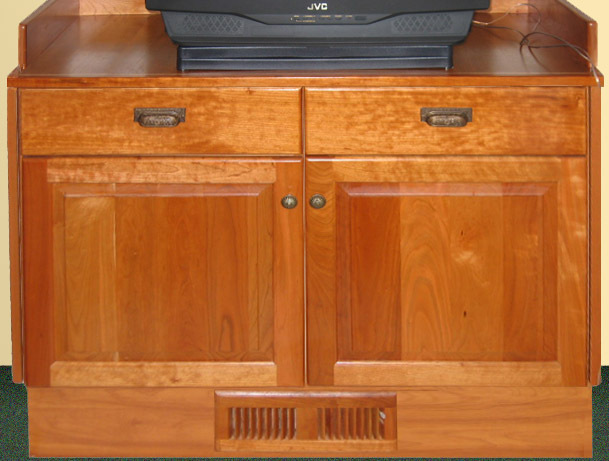 Prices are estimates, fine woods market fluctuates. 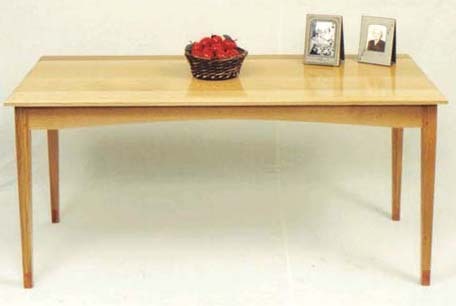 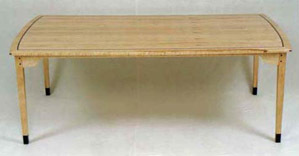 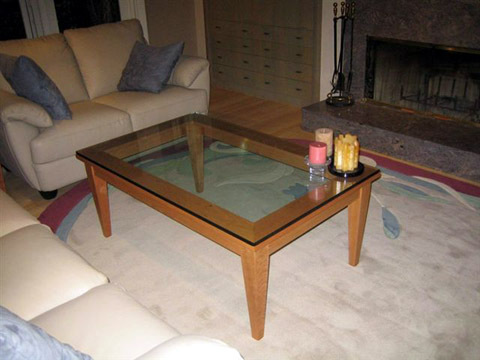 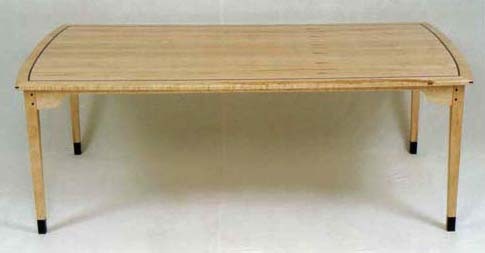 This table with its clean lines and tapered legs fits into traditional and contemporary settings. 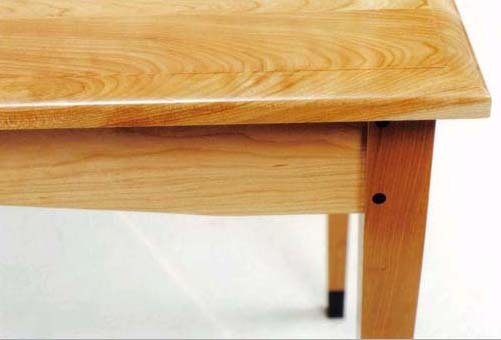 Tapered legs available with or without rosewood base. 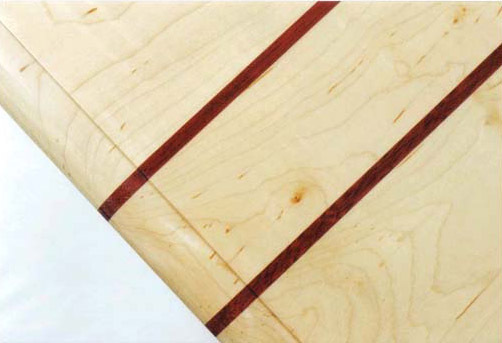 Custom veneered booked matched Cherry top w/ Birdseye Maple inlay and Cherry frame around the outside edge. 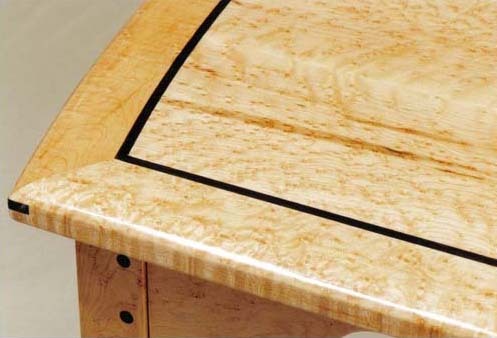 Legs are tapered w/ Birdseye Maple Inlay. 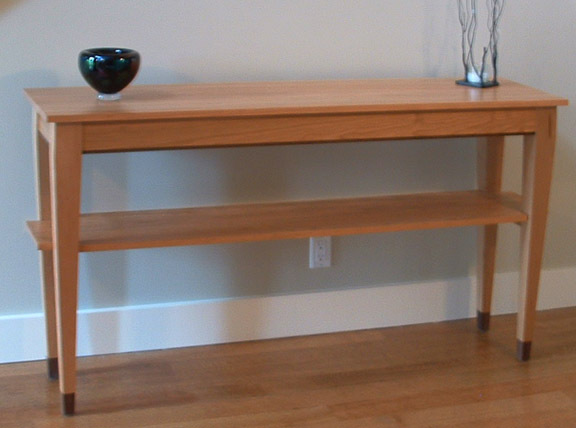 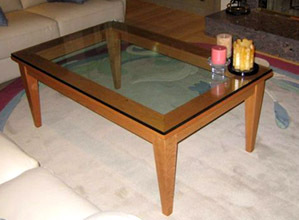 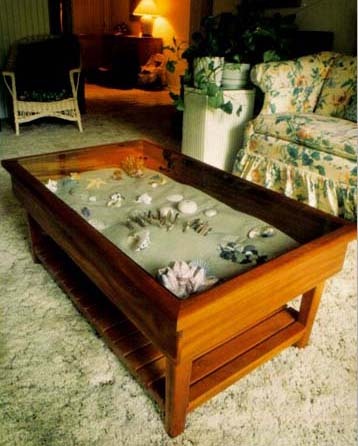 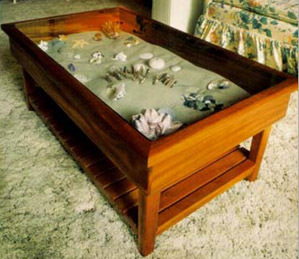 Always necessary - these tables serve as a variety of beautiful uses in hallways, behind sofas, below mirrors or windows. 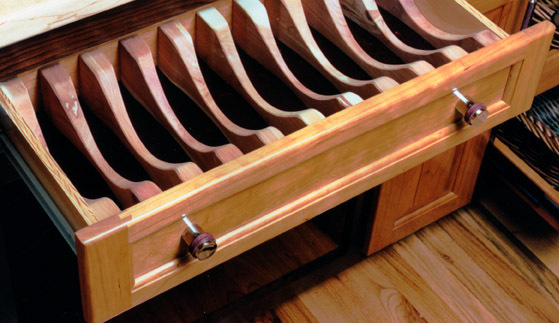 This set, made of Curly Maple and Walnut, featuring aromatic Port Orford Cedar drawers, appeared in Fine Woodworking’s article on North Coast Woodworkers. 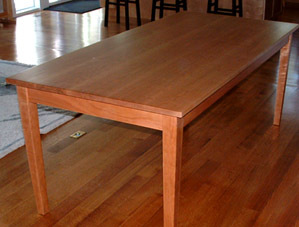 Wood selection and design transform the table everyone uses into a conversation piece. Original, clean design with arched aprons and tapered legs fits into traditional and contemporary settings. 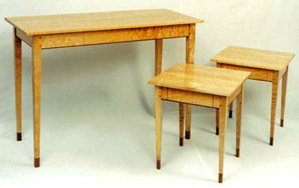 The wood selected for the Table/Desk shown upper left, middle and lower right is Quilted Hard Rock Maple with Purple Heart as the highlight wood. 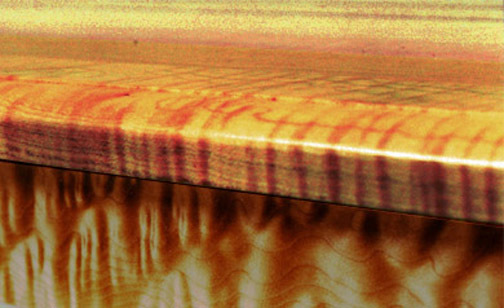 Quilted Hard Rock Maple is a "figured wood" because its rippled grain seems to move as you move, almost as though it were iridescent. 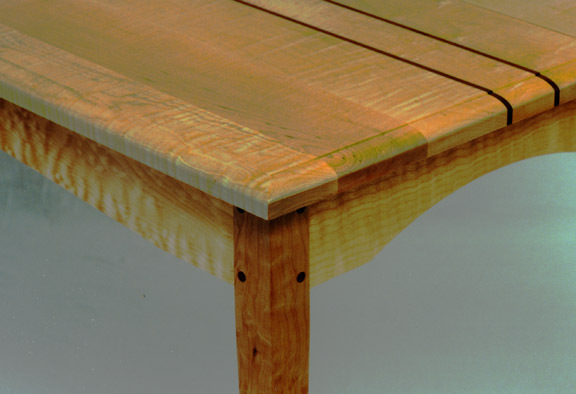 The Table/Desk shown upper right and lower left is Quarter-sawn White Oak with deep rose Bubinga base on its tapered legs. 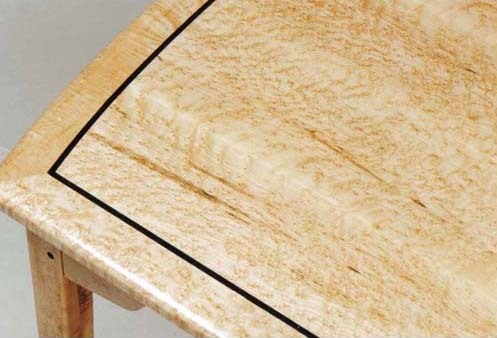 The Quarter-sawn technique in wood cutting reveals beautiful streaks and ripples. The Cherry Table/Desk you see middle left features rich, dark Wenge as the highlight wood. 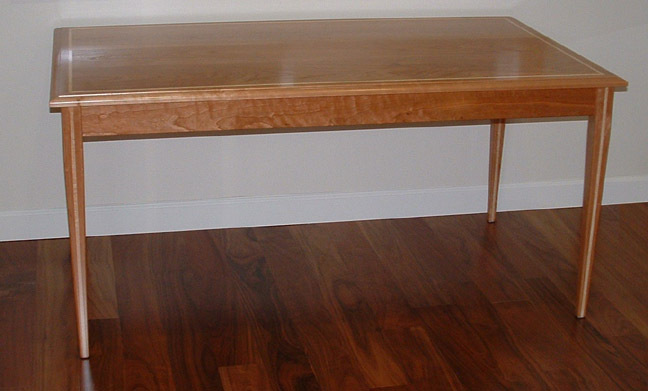 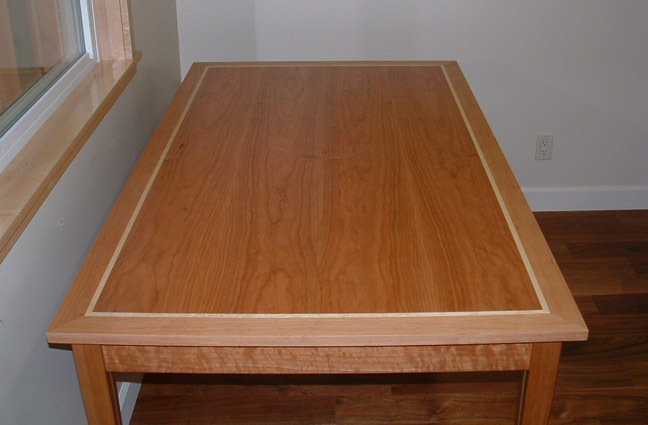 Cherry is a very popular wood because of its rich color and grain patterns. 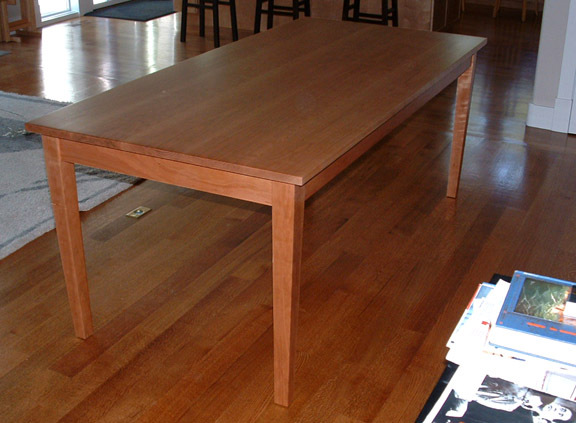 Solid wood Cherry table with Maple inlay. 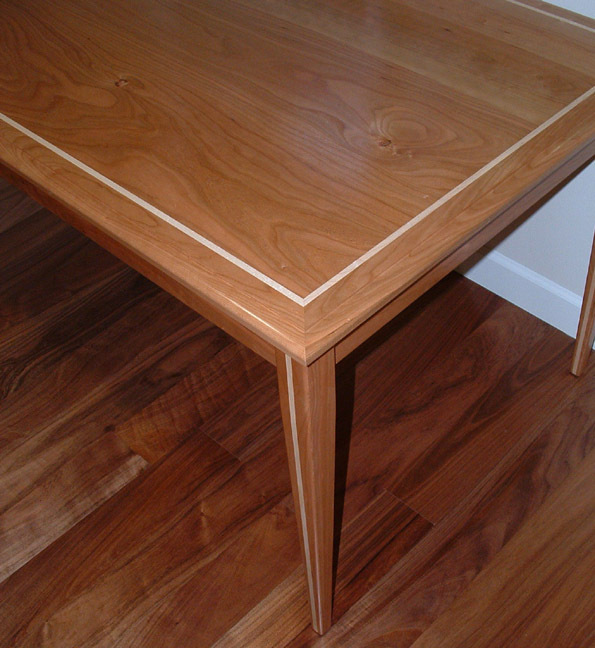 Legs are tapered with maple inlay. 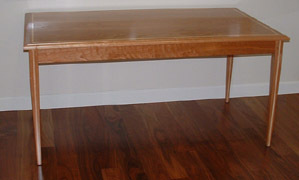 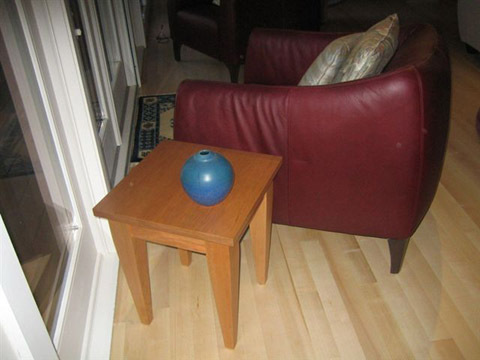 Solid Cherry Wood w/ tapered legs. 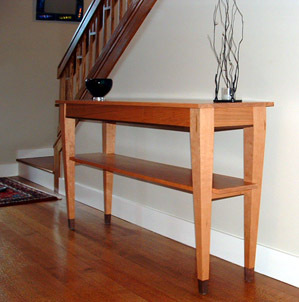 Top is 1" thick premium solid Cherry wood.